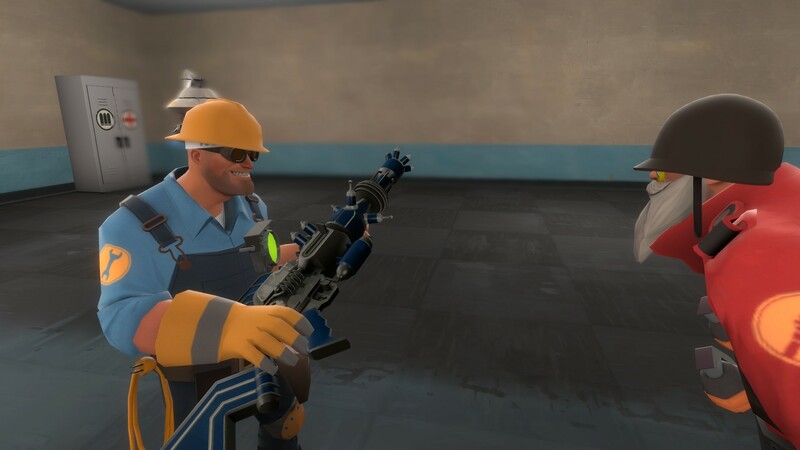 As I covered a few days ago, Valve recently added “strange cosmetics” to TF2. Fair enough, Valve is doing weird things all the time with their TF2. But I’m curious as to why they chose the method, style, and selection they did, and today I plan to write about my theories regarding this recent update. I just realized I’ve never heard the name “Pomson” outside of TF2. Picture by FeelGoodInc. Bonk Boy – Comes in Unusual quality, otherwise middling-popularity misc. Fancy Dress Uniform – Generally unpopular misc. Sight for Sore Eyes – Very popular misc. Bird-Man of Aberdeen – Moderately popular misc. Toss-Proof Towel – Unpopular misc. Teddy Roosebelt – Moderately popular misc. Archimedes – Comes in Genuine quality, Very popular misc. Camera Beard – Comes in Vintage quality, unpopular misc. All-Father – Wearable by 2 classes, popular misc. Merc’s Pride Scarf – Comes in Genuine quality, multi-class, moderately popular misc. RoBro 3000 – Only obtainable through Mann Vs. Machine, popular all-class misc. Summer Shades – Limited edition misc, for that reason extremely popular. Do you notice the incredible amount of variety in this selection? Popular items, unpopular items, limited editions, unusuals, genuines, vintages…It’s like they wanted a smorgasbord of every possible category of TF2 cosmetic in the mix. I believe this was to see how the strangifiers affect every type of item. Will Genuine Archimedes become even more valuable than unique-quality Archimedes? Do trash cosmetics like camera beards go up in value more than popular cosmetics like Teddy Roosebelt? How will this affect non-strange unusual Villain’s Veils? How many people actually craft god-tier stranges to get these strangifiers? And then there’s the Pomson. I don’t even know. Maybe they’re test-bedding a new way to release stranges, a way that cuts down on the unique weapons already out there? Picture by Gen. DeGroot. So those are the things the came to my mind. 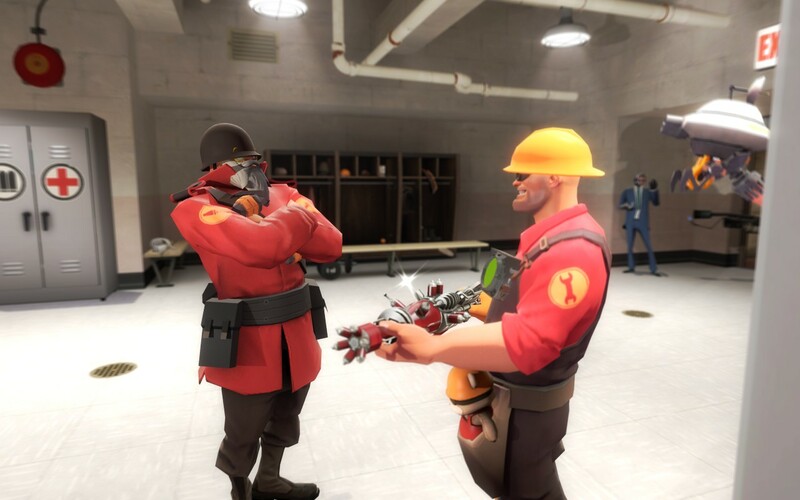 One that isn’t even a theory; Valve is finally taking the TF2 economy seriously, and plans to find ways to balance it out, or in some way make it better for them. Whatever happens in the next few months, it should be interesting.